I’m probably the furthest thing from a girly girl (Nope. Still no idea how to apply eyeliner properly) but even I couldn’t fail to be lured in by Peggy Porschen Cakes. For those of you on Instagram, you’re 98% likely to have seen a picture of this Belgravia cake shop over the last few months. 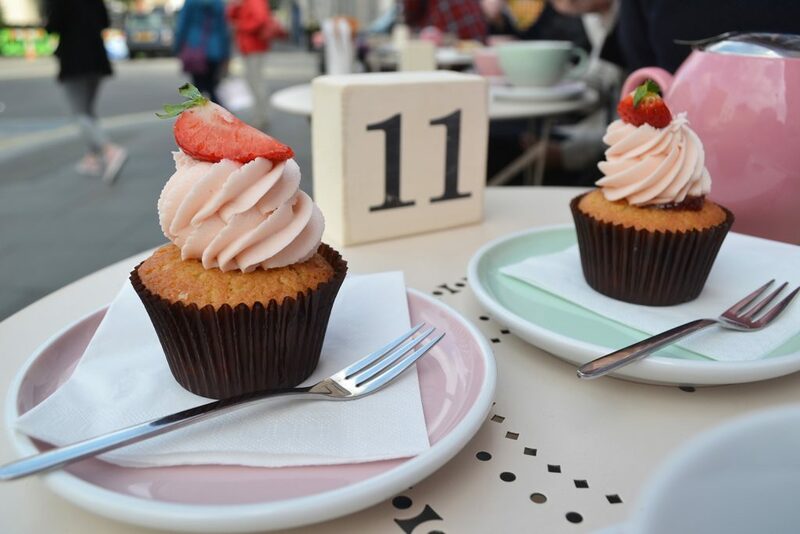 It’s become the place to throw on the ol’ ‘Gram, thanks to its pastel pink exterior, floral wreath and cutesy flowers lining the windowsill. In fact, if you didn’t know better, you’d probably just assume that this place was made especially FOR Instagram… Just look at it! 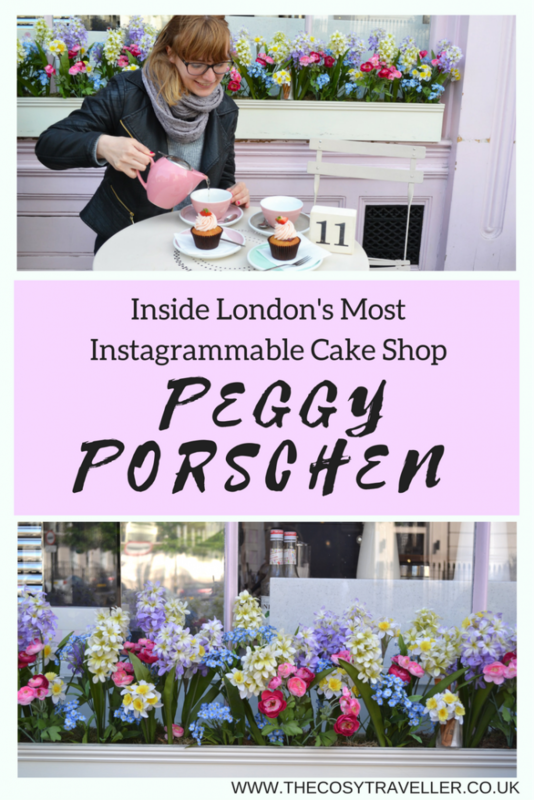 While Peggy Porschen Cakes may only recently have hit Instagram notoriety, it’s actually been around for 7 long years. 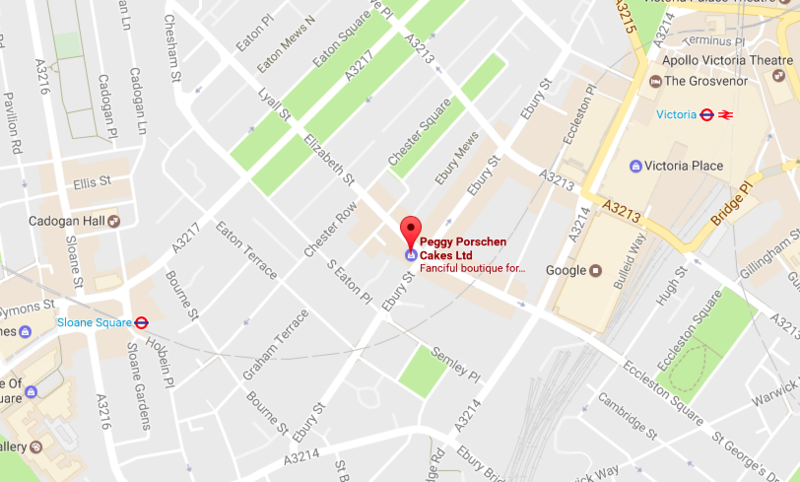 The shop belongs to cake maker to the stars (Go on. 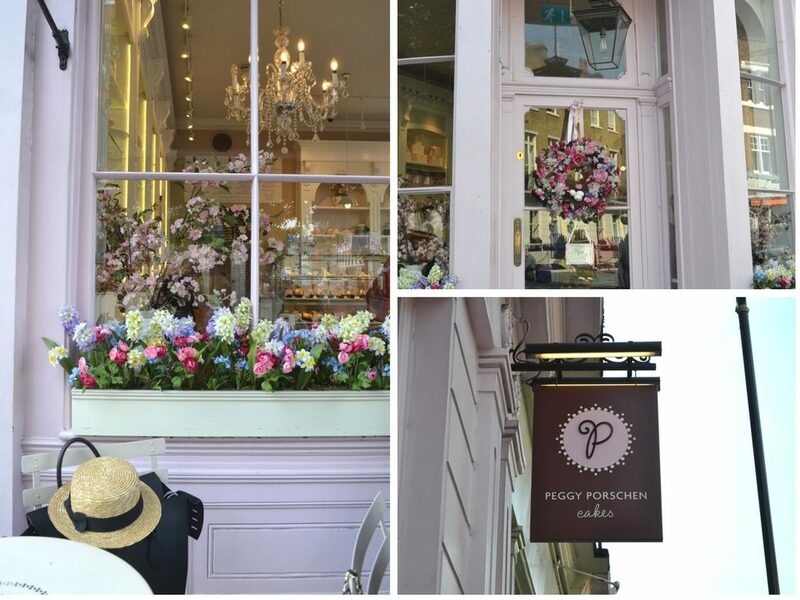 Guess her name…) Peggy Porschen. She’s made cookies and cakes for so many A-list events, including Kate Moss and Jamie Hince’s wedding. A few weekends ago I was in the area with Sophie from Luggage Tags and Ticket Stubs so we decided to check the place out. 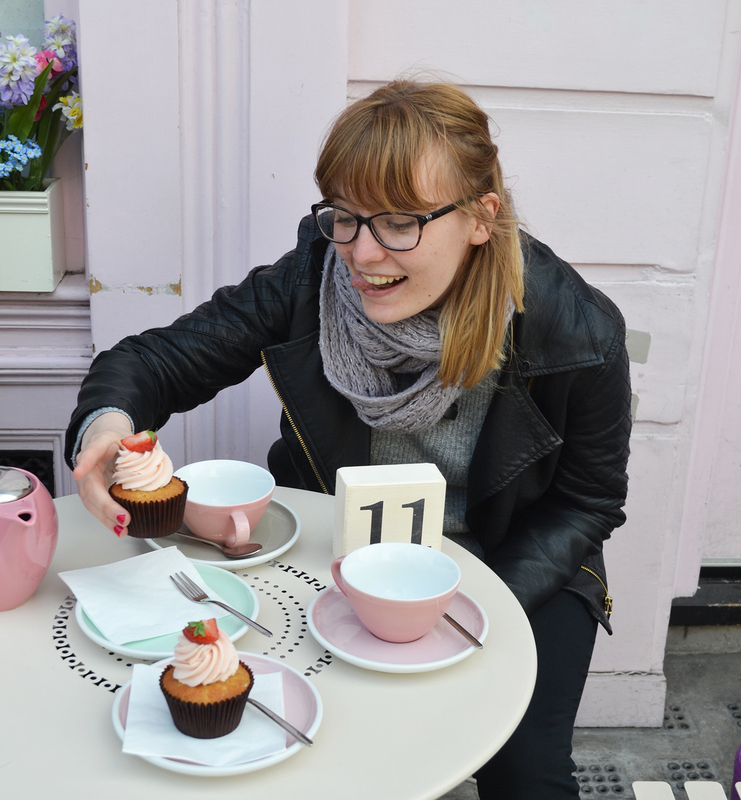 A few obligatory outdoor photos later, and we found ourselves sitting on one of the tables outside with tea and cake in hand… or at least, that’s the shorter way of putting it. In reality, we popped into the shop, looked at the prices, and then took a step outside to catch our breath at the prices. £5 for a tiny cupcake?! After convincing ourselves we deserved this treat – we enjoyed a bargain £2 Greggs lunch, after all – we decided to go for it. 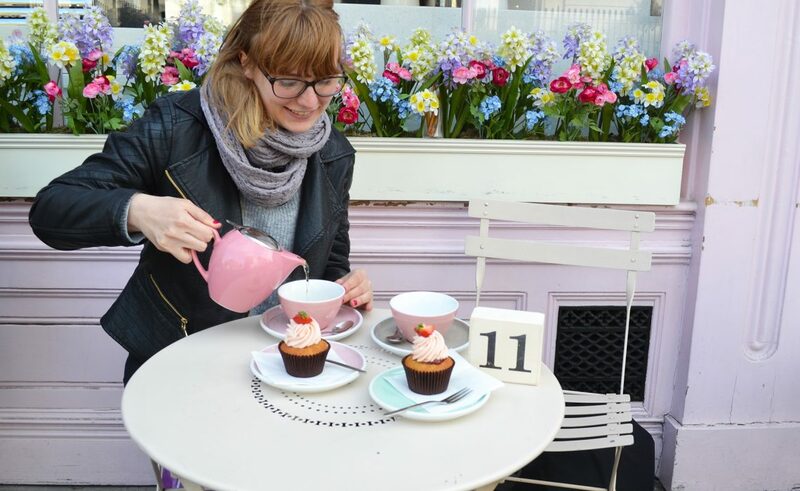 We chose our pot of Floral Rose tea (£4.95 for two) and our cakes (£5 each if you’re eating in), and popped ourselves down on a table outside. The waitress brought our order out before we’d even had a chance to take our cameras out and snap photos of the place! The only (minor) downside was the sheer number of tourists hanging around outside. At one point, they were even taking up tables that actual paying customers needed in order to get that all-important photo. One woman even got the waitress to remove the left-over crockery from the previous customer – just so they could get a photo without all the mess in the foreground. For that reason, I’d definitely recommend trying to get down there during the week if possible when it may well be a bit quieter. Saying all that though, I was SO glad we didn’t let ourselves be put off by the throngs of tourists or the above-average cupcake prices. This definitely isn’t a place you can snap a photo of and walk away. It’s best enjoyed (like most cafes) by taking the time to put your feet up and sip some tea along wth your bestest mate. No special occasion needed! 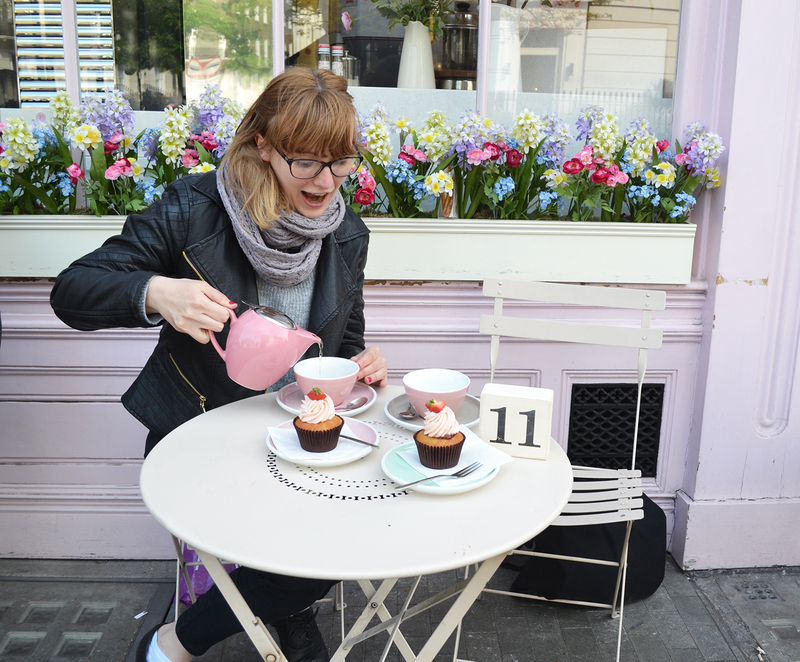 If you want to try a slice of the pretty cake action, you’ll need to head over to Belgravia. Victoria’s the nearest tube station, but it’s also a short walk from Sloane Square station too. Isn’t it just gorgeous Emily?! For a while there, would you believe this was my local cake shop so I think you can probably see why it was quite a good thing I ended up moving out of the area or I would have ended up going completely bankrupt coming here! But it’s so irresistible & the cakes are so scrumptious! Oh my! If it was my local cake shop I would be in there every day! I absolutely loved my visit! I went on Monday and had the most amazing Salted Caramel Layer Cake! I have to say it was the best cake I’ve ever tasted. My aim it to try every layer cake they do. The next one on my list is the Strawberry and Champagne one. My mouth and eyes both filled with water!!! That yummy looking cakes and floral beauty would melt anyone’s heart. I would definitely go to the shop soon. Thank you so much Emily for giving us all an awesome instaspot. I’m so curious… are the flowers real in this installation?! We visited from South Africa two weeks ago and enjoyed the tea and cake. I’m also a cake artist, and a great admirer of Peggy’s creativity. Beautiful Christmas cookies on the tree, all in pastel pink and white. However…. far too expensive at around £10 for an iced biscuit made with pressed fondant and a few swirls of royal icing. So, nothing to take home to South Africa!